The Grenada Tourism Authority’s efforts to promote Pure Grenada, the Spice of the Caribbean are already yielding positive results; with the month of March being especially busy. First, GTA Marketing Executive for the UK, Renee Moses, joined our representatives, Eyes2market, to attend Unite Caribbean, the UK’s leading trade event. They came away feeling excited about the continued interest in Pure Grenada. The 16th annual Unite Caribbean was held on 13 March 2017, in London. It is a well-established ‘one-stop-shop’ event for UK and European based tour operators to hold one-on-one meetings with tourism authorities, hoteliers and airlines from the Caribbean region. 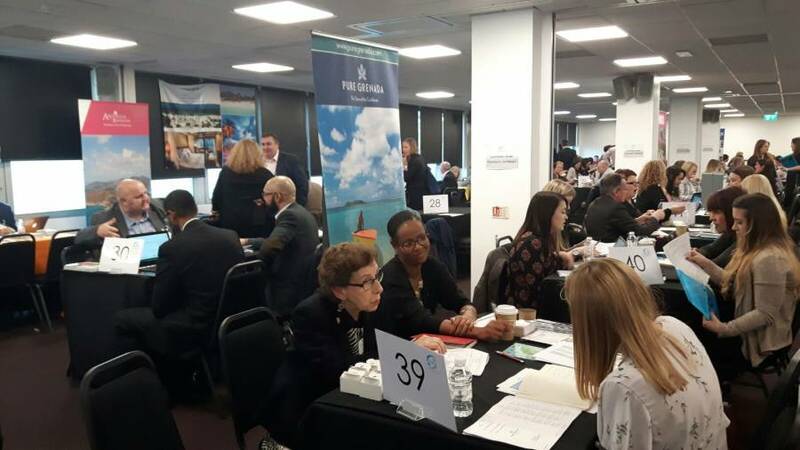 This year, delegates of close to 100 tour operator companies attended with Team Grenada holding 36 meetings with British Airways, Virgin Holidays and all the tour operators that are the island’s partners in 2016 and 2017. 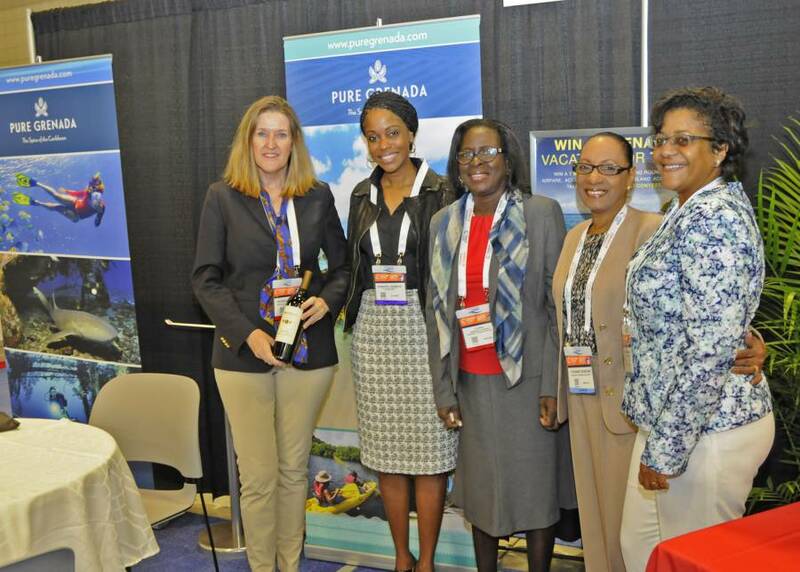 Ms Moses was happy about Grenada’s strong brand recognition and she said, “The GTA is extremely pleased with this trade event as many of our key partners met with us and discussed existing and exciting future plans for the destination. 3 new tour operators have also included Grenada in their destination collections.” The GTA team also used the opportunity to spread the word about exciting new hotels, Silver Sands and the Kimpton Kawana Bay Hotel and new daily airlift from JFK, New York. (L-R) GTA Chief Executive Officer – Ms Patricia Maher; Director of Client Development, Cheryl Andrews Marketing Communications – Ms Jennifer Johnson; Dr the Hon. Clarice Modeste-Curwen; Mrs Yvonne Duncan; and GTA Manager of Nautical Development – Mrs Nikoyan Roberts. At the same time from 13 to 17 March, GTA CEO Patricia Maher and Manager of Nautical Development Nikoyan Roberts joined a delegation led by Minister for Tourism Dr the Hon. Clarice Modeste-Curwen to attend Seatrade Cruise Global in the US. Seatrade is the cruise industry’s premier global event bringing together every facet of the business including cruise lines, suppliers, travel agents and partners. Finally, the GTA in partnership with the Grenada Scuba Diving Association attended the 39th annual Beneath the Sea (24 to 26 March), the largest Consumer and Scuba Dive Show in the US. The event which was held in New Jersey showcased dive products, destinations and information about training and certification in the industry. Dive is one of the GTA’s niche markets and Nautical Development Manager Mrs Nikoyan Roberts is excited about the possibilities. She said, “ Grenada is primed for further growth in this industry and Beneath the Sea provides a unique opportunity to do just that.” The GTA continues to maximise the use of its resources to ensure that Grenada is positioned as a premier tourist destination.